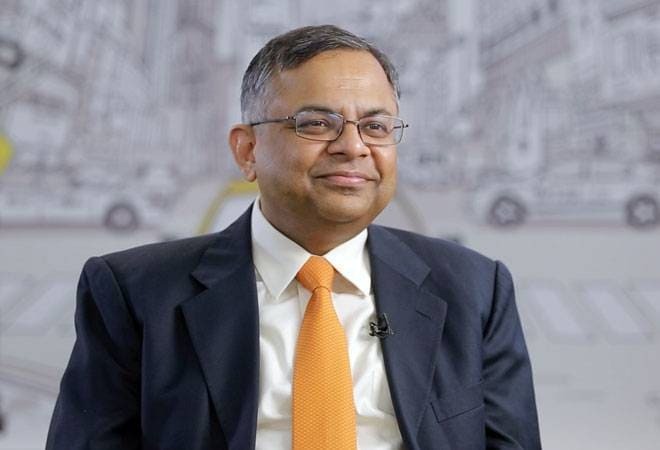 Chandrasekaran was appointed as the Tata Sons Chairman in February 2017 after his 11-month stint as the MD of its tech conglomerate, Tata Consultancy Services, where he used to rake in around Rs 31.15 crore. Tata Sons Chairman N Chandrasekaran is one of the highest paid corporate bosses in India with his annual remuneration taking almost a 100 per cent jump in FY18. According to a latest annual report by the Tata Sons, Chandrasekaran got Rs 55.11 crore remuneration in FY 18, which also includes profit percentage and commission. Chandrasekaran was appointed as the Tata Sons Chairman in February 2017 after his 11-month stint as the MD of its tech conglomerate, Tata Consultancy Services, where he used to rake in around Rs 31.15 crore. But then, handling the country's 32 top holding companies -- of a business house like Tatas -- is also not a cakewalk, and the remuneration Chandrasekaran is getting justifies his salary, say industry analysts. His predecessor, Cyrus Mistry, used to get way less, about Rs 16 crore per year, than Chandrasekaran, who capped his annual salary as per the company performance. Mistry belongs to the Pallonji Mistry business family, and he, along with his brother, owns 18.4 per cent of share in Tata Sons. The Mistry brothers collectively hold the largest individual stake in the salt-to-software conglomerate. Cyrus Mistry was unexpectedly ousted as Chairman of Tata Sons in October 2016, sparking a public war of words between him and former chairman Ratan Tata. Chandrasekaran was also the first non-Parsi to lead the multi-billion dollar business house. So far he has shown a balanced approach when it comes to his relationship with the Tata group stakeholders. With Chandrasekaran at the helm, the Tata group has tried a different approach of "consolidation and synergy", the Economic Times reported, while also making a foray into new ventures like aerospace and defence, and focussing more on its major revenue-generating vertical -- Tata Steel. Besides, hefty salaries in corporate India are not a new thing. India's highest paid promoters and professional executives got way more as annual compensation in FY18 than what Chandrasekaran is getting. Some of these include Kalanithi Maran (Sun TV Chairman) Rs 87.5 crore; Kavery Kalanithi (Sun TV Director) Rs 87.5 crore; Pawan Munjal, CMD and CEO of Hero Motorcorp, Rs 75.4 crore. However, this is also a fact that the salaries of Indian CEOs and promoters have seen a rise of around 19.3 per cent per year as compared to average corporate earnings, which grew at 13 per cent, in the past three years, the latest survey said. While the overall salaries of employees grew at just 10 per cent a year, the honchos of these listed companies accounted for top-earning heads. The CEOs are prospering in India but there has been no corresponding trickle-down effect, it revealed. Average salaries of employees in even highly prosperous companies are not increasing the way CEO emoluments are.